Posted on Friday, June 27th, 2014 at 10:27 pm. 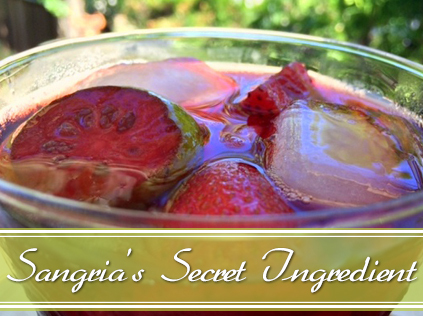 We love everything about sangria. You can prepare it ahead of time which makes it a perfect party drink AND it gets better the longer it sits. It’s super adaptable to different flavors and seasons and it’s got a full serving of fruit so it’s good for you…right? And if you ever have leftover wine around (what’s that?) it’s a great way to use it up. Our recipes have a secret ingredient that will make your guests wonder why your sangria is so much better than theirs…check out our favorite sangria recipes featuring some of our most popular white balsamic vinegars!